How To Choose A Good Estate Agent | May & CoMay & Co.
Look for three or four estate agents who have a good track record of selling similar properties in the same area as your property. Perhaps this is stating the obvious, but it’s really important to get this right. An estate agent in Hampstead for example would usually be sought out by buyers in North London. So, if you have a property to sell in Chelsea, instruct an estate agent who covers the same area. Likewise, if you are selling a country property, don’t put it on the market with an estate agent who specializes in trendy urban flats. You are employing an estate agent so that you have instant access to their existing bank of customers. But you can only take full advantage of this, if the agent’s customers are also the type that would be interested in buying your property. At the end of the day it is, of course, your property and you can call the shots. This might be a good time for you to think about what your requirements are. Are you after a quick sale or do you need to achieve the highest sale price? How approachable and professional is the agent? Send them an e-mail or phone them up. Do you get a quick reply? Would you want to deal with this agent, if you were a buyer? Are they enthusiastic and friendly? What about the marketing and advertising of the property? Take a close look at their property brochures and compare them to those of other agents. How have the properties been presented? Do you feel that this agent is able to present your property to a high quality? Also, find out how the agent will advertise your property. Is the agent a member of a trade association?Are they a member of an accredited body such as the National Association of Estate Agents(NAEA). Members of such an organisation have to sign up voluntarily to a code of practice and are bound by strict rules. If you are unhappy about your estate agent’s services the NAEA will protect your interests and take disciplinary action against the estate agent on your behalf. Ask the estate agent who will look after the viewings? Will the same estate agent be around for all the viewings? 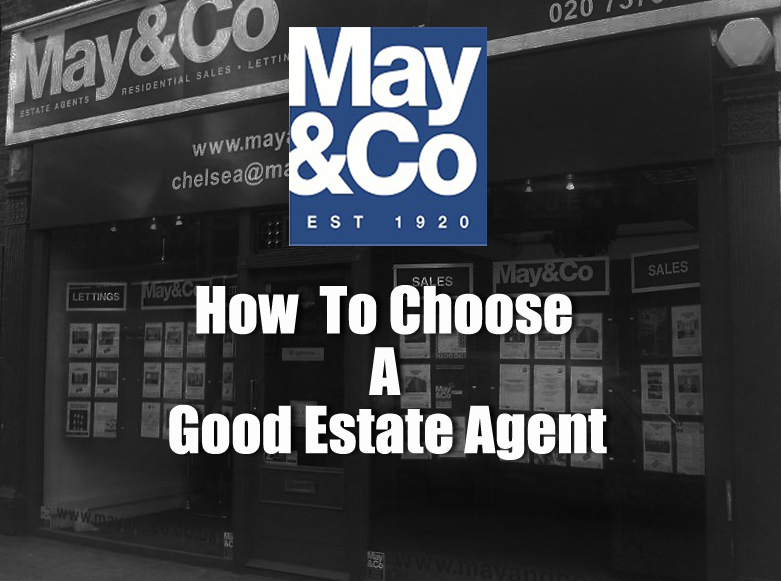 Now it is time to decide on the type of contract you want to enter with your estate agent. You need to weigh up the advantages and disadvantages of a sole and multi agency agreement. Also, do not sign on the dotted line until you have read all the small print. How much will the agent charge? What do you get in return for this? When is the fee due? In the May Newsletter I will write about what to look out for in an estate agent’s contract.